Neil Dantam is an Assistant Professor of Computer Science at the Colorado School of Mines. Neil's research focuses on robot planning and control. He has developed methods to combine discrete and geometric planning, improve Cartesian control, and analyze discrete robot policies. 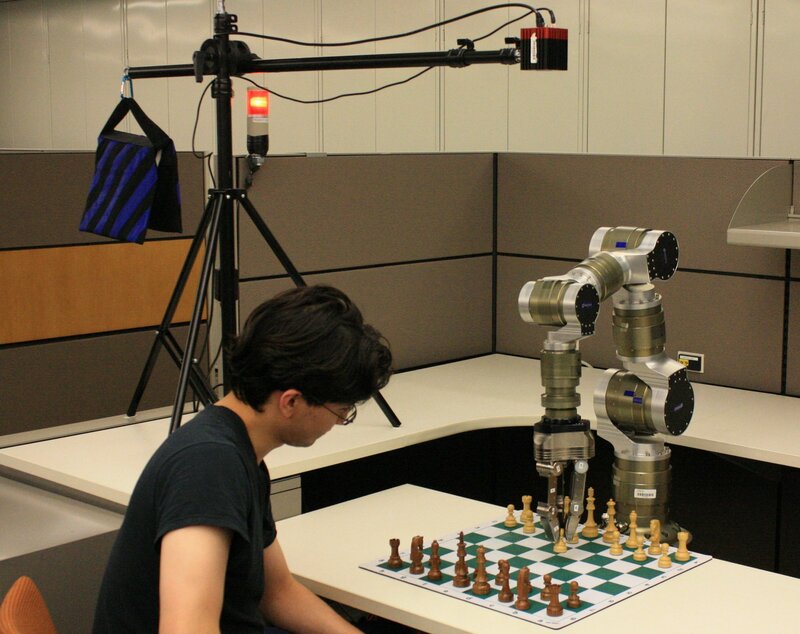 In addition, he has worked on practical aspects of robot manipulation and software design to ensure that new theoretical techniques can be validated in the physical world. Previously, Neil was a Postdoctoral Research Associate in Computer Science at Rice University working with Prof. Lydia Kavraki and Prof. Swarat Chaudhuri. Neil received a Ph.D. in Robotics from Georgia Tech, advised by Prof. Mike Stilman, and B.S. degrees in Computer Science and Mechanical Engineering from Purdue University. He has worked at iRobot Research, MIT Lincoln Laboratory, and Raytheon. Neil received the Georgia Tech President's Fellowship, the Georgia Tech/SAIC paper award, an American Control Conference '12 presentation award, and was a Best Paper and Mike Stilman Award finalist at HUMANOIDS '14. I am currently recruiting students for research. Please contact me if you are interested! 2019-01-23 Our paper Learning Feasibility for Task and Motion Planning in Tabletop Environments was accepted in Robotics and Automation Letters. 2018-09-06 My paper Practical Exponential Coordinates using Implicit Dual Quaternions was accepted for WAFR 2018. 2017-07-01 Started as assistant professor of Computer Science at the Colorado School of Mines. 2017-03-27 Proposed Workshop on Task and Motion Planning accepted for RSS 2017.